How do we make digital systems feel less robotic and more real? Whether you work with interface or visual design, front-end technology, or content design, learn why conversation is the best model for creating device-independent, human-centered systems. 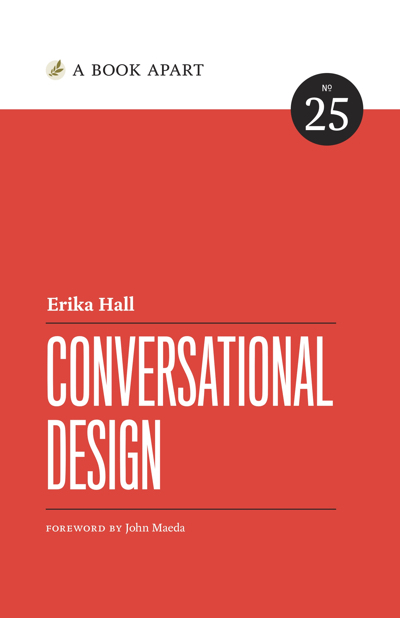 Research and information design expert Erika Hall explains what makes an interaction truly conversational and how to get more comfortable using language in design. From understanding the human interface, to effectively using the power of personality, to getting it all done, you’ll find out how the art of communication can elevate technology. This book cuts through the fluff and buzzwords to get straight to the point. Take Erika’s succinct lessons to heart and you’ll be a better designer, writer, and technologist. Building trust through conversational interfaces is likely one of the most important skills today’s digital specialists can have. Success depends on laser-focused, audience-facing word choice, and expert Erika Hall shows you how it’s done. 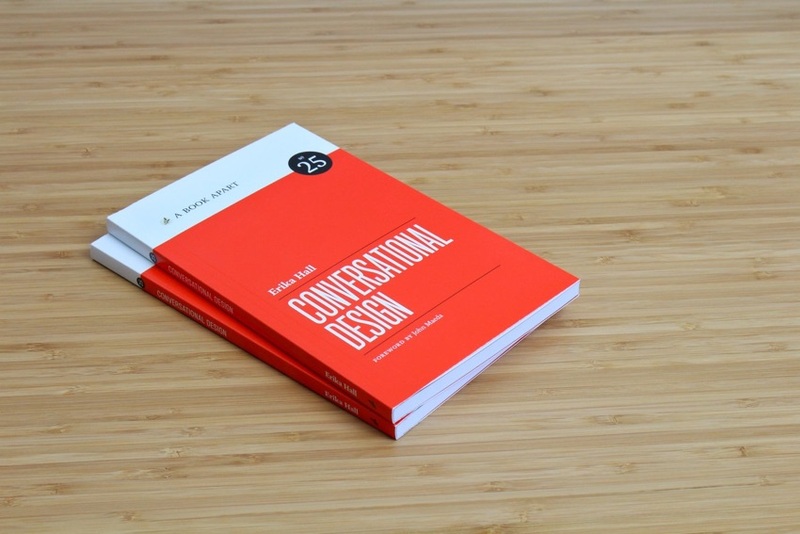 Conversational Design is an absolute must-read for designers, developers, and content strategists alike. If you create digital products, Erika has a lot to teach you about integrating content, structure, and tone into a single, compelling experience. Good aesthetics may attract our attention, but it’s great conversation that makes us fall in love! Erika Hall has been working in web design and development since the late 20th century. In 2001, she co-founded Mule Design Studio where she leads the strategy consulting practice. Her enthusiasm for evidence-based decision-making led her to write Just Enough Research. She speaks frequently to international audiences on topics ranging from collaboration and design research to effective interface language. Her current talks explore the limits of using quantitative data to make design decisions.